In paying tribute to Nelson Mandela the corporate media and Hollywood should not conceal his mistakes or glorify him as a flawless personality whose character is without blemish. His role in the liberation struggle should be acknowledged just like many before him, his contemporaries and those who came after him but it should not be exaggerated. Many articles were penned by this writer on Nelson Mandela even before he became President of South Africa, including two book reviews on Long Walk to Freedom by Nelson Mandela and Young Mandela by David James Smith. This writer’s point of departure will be a reflection of Mandela’s years as a young person as revealed by PAC founding President Mangaliso Robert Sobukwe, especially because Mandela passed away on the birthday of Sobukwe. The question is whether Mandela was the way the media, especially the Western media, portrays him? Was he really the African people’s saviour? During an interview conducted by Gail Gerhard in August 1970 after his release from Robben Island, Sobukwe described Mandela as a very arrogant man who lacked common touch. Sobukwe said, “I remember him at one meeting around the time of the Defiance Campaign. People had gone there still undecided if they were going to participate. 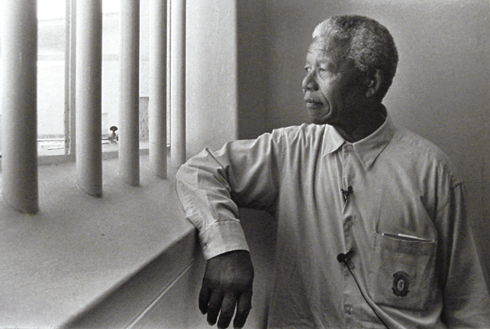 Mandela got up and said very promptly, ‘All those with us, come forward; all others get out. And most people got out. They were put off by his manners. Mandela was strong among the leaders, although we always recognized Tambo as superior in intelligence. Mandela had a way of attacking people very viciously if they disagreed with him, and were a smaller person than himself. He could reduce them to a shriveling mass then he would pat them on the head and draw them to him, and thereafter they would be his men, always deferring to him, looking up to him. If he came across any man who wouldn’t look up and defer to him and acknowledge his superiority (e.g. myself implied) then he wouldn’t have anything to do with that person. Mandela could always attract weak people; but he could never go on with another strong person. In any relationship he had to dominate. But he was an engaging person. He could always crack a joke, make you laugh; he always had a story to tell. But I was never friendly with him… Philosophically, Mandela has always been an opportunist, going from one theory to the next, taking out what seemed most likely to be impressive to other people, most likely to boost his prestige”. This arrogance was also mentioned by Doc Bikitsha in an article in the Sowetan newspaper whilst paying tribute to Walter Sisulu. Bikitsha said Sisulu was warm and welcoming when they visited ANC offices but Mandela was aloof and arrogant. This writer met Mr. and Mrs. Sisulu in Victoria, Canada in the early 1990’s and they both exuded warmth and humility. Could Mandela’s arrogance be what drove him to arrogate to himself the right to negotiate a bad deal on our behalf? Is this the arrogance that drove him to think he could exclude the Pan Africanist Congress and Black Consciousness Movement from deciding the future of South Africa? He was not as intelligent a leader as Tambo and should have deferred to Oliver Tambo. Sobukwe says Mandela didn’t get along well with Tambo. Sobukwe was not the only one who acknowledged that Tambo was intelligent. Joe Matthews said it in Parliament when paying tribute to Walter Sisulu.